I always wanted to find a way to serve my country in particular and I had thought growing up that might have been exclusively in ministry. However, when I was in 10th grade, Sept. 11 happened and I saw a great opportunity to serve those who serve by becoming an Army chaplain. WHAT OPPORTUNITITIES HAVE YOU EXPERIENCED? Having the opportunity to serve has been nothing like I could describe. It has been the best of moments in people’s lives and it has been some of the toughest moments I have shared with others. You rejoice with those who rejoice; you weep with those who weep; and you are there with them throughout that process. I have had opportunities to baptize Soldiers by chem light in the middle of Afghanistan. I have had opportunities to memorialize Soldiers in Afghanistan and a few other countries and be able to tell their families that we remembered them well. I have had opportunities to lead people to Christ in the middle of the desert and the mountains. I have been able to see people who were unsure about their faith come to know God more fully. I have opportunity to perform religious services, so I can baptize people, or preach, or do some of those things. Also, if there are faith groups that maybe I don’t hold the same traditions, I can look to my peers on my left and my right, my chaplain friends are some of the faith group leaders that we use, I have opportunities to reach out to them and organize religious services for people in my units. So, that allows me to bridge people to someone they would have access to in normal circumstances. This is a ministry that requires the whole person. You are serving with your heart, your mind, your strength and your body. You need to be prayerfully minded; you need to understand that this is where you are called to serve; do your homework; do your research; study your theology; understand your theology, but also be confident in your theology so that you can work alongside others who are different than you. Understand your call. 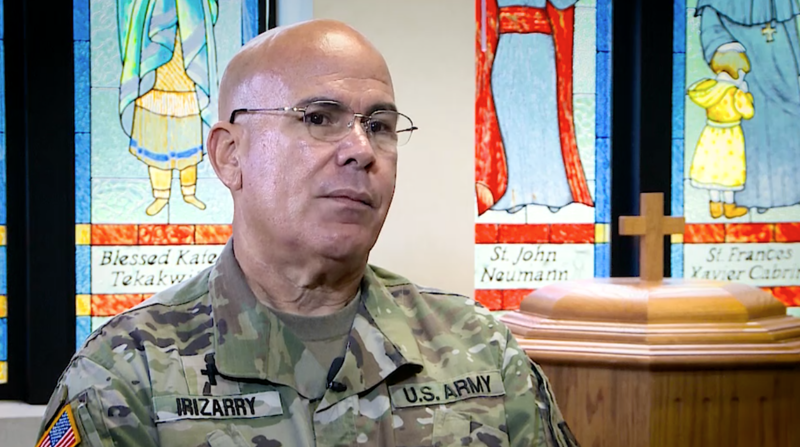 Understand that this is not a calling that you kind of decide to do because you need to retire from the Army, but it needs to be a choice for you and your family to live out this lifestyle and remain true to the call. You rejoice with those who rejoice; you weep with those who weep; and you are there with them throughout that process.